The Sony α6500 will ship this November for about $1,400 US and $1,750 CA through Sony’s dealer network. NEW YORK, Oct. 6, 2016 – Sony Electronics, a worldwide leader in digital imaging and the world’s largest image sensor manufacturer, has today introduced their new flagship APS-C sensor camera, the α6500 (model ILCE-6500). As the latest addition to Sony’s lineup of award winning mirrorless cameras, the new α6500 shares the same unrivaled 4D FOCUS™ system as the α6300 camera, which can lock focus on a subject in as little as 0.05 seconds, the world’s fastest1 AF acquisition time. Also shared with the α6300, the new α6500 features 425 phase detection AF points that are densely positioned over nearly the entire image area – the world’s highest2 number of AF points on any interchangeable lens camera. The new model can shoot images at up to 11 frames per second with continuous autofocus and exposure tracking and up to 8 frames per second in a live-view shooting mode that makes it easy to track fast moving subjects, as it combines all of the benefits of an electronic viewfinder with the immediacy of an optical viewfinder. The camera can shoot at these high speeds for up to 307 frames3 thanks to its expanded buffer, which, along with the fast response speeds described above, are all achieved with the support of a new front-end LSI chip that has been added to the camera. This new front-end LSI also serves to enhance both still and video image quality. Additionally, the new α6500 features Sony’s acclaimed in-camera 5-axis optical image stabilization, making it the first Sony APS-C sensor camera to offer all of the benefits of advanced in-body stabilization, which include a shutter speed advantage of approximately 5 steps4. It also offers touchscreen AF capabilities for focus point selection and adjustment. Sony’s new α6500 camera utilizes the same 4D FOCUS system as the α6300 – a Fast Hybrid AF system that combines high-speed phase detection AF with extremely accurate contrast AF and allows it to capture and lock on to moving subjects in as little as 0.05 seconds1. It also features 425 phase detection AF points and High-density Tracking AF Technology, which significantly improves subject detection and tracking performance. New for the α6500, thanks to faster internal processing capabilities enabled by the front-end LSI, the maximum buffer for high-speed continuous shooting is an impressive 307 frames3, greatly increasing the chances to catch that decisive moment. The camera’s 425 phase detection AF points, focusing tracking and accuracy are also available when using non-native A-mount lenses5 with Sony’s LA-EA3 mount adaptor. Additionally, it includes silent shooting, Eye AF in AF-C mode, AF in focus magnifier modes, Expand Flexible Spot AF and more. One of the most exciting developments in the new α6500 is the implementation of 5-axis image stabilization for the first time in a Sony APS-C sensor camera. Additionally, through a total revision of the internal design of the camera, this newly developed stabilization system fits entirely within a body that is nearly the same size as the α6300 model6. This innovative 5- axis system provides a shutter speed advantage of 5 steps4, ensuring the full resolving power of the sensor can be realized, even in challenging lighting. The shake compensation provided by the system works with a variety of lenses, including E-mount lenses without OSS (Optical SteadyShot) stabilization and A-mount lenses7 when used with a compatible mount adapter. When an E-mount lens with OSS is mounted, pitch and yaw are compensated in the lens and horizontal, vertical and roll axes are compensated in the camera body, resulting in optimal 5-axis stabilization 7. Also, with a simple half press of the shutter button, the effect of the image stabilization can be monitored in the viewfinder or on the LCD screen, allowing framing and focus to be accurately checked and continually monitored. This is available even when a lens is attached that does not have built-in shake compensation. The new α6500 comes equipped with touch screen functionality, allowing users to lock focus on a subject simply by touching it on the screen. This is a powerful compliment to its advanced AF system and video shooting capabilities. Additionally, in a first for Sony cameras, the α6500 features touchpad functionality. When utilizing the viewfinder for framing and shooting, the LCD screen can be used as a touch pad. Simply drag a finger across the screen to shift the focus point from one area to another. The new α6500 features an APS-C sized 24.2 MP8 Exmor CMOS sensor that works together with a BIONZ X image processor and the newly developed front-end LSI to maximize processing power and achieve an impressive sensitivity range of ISO 100-512009. The image sensor employs a thin wiring layer and large photodiode substrate that maximizes light collection efficiency, plus copper wiring in its structure for outstanding read-out speed. The BIONZ X image processor and newly developed front-end LSI ensure superior image and video quality with low noise even when using higher ISO settings, in particular those at high sensitivity values where other cameras typically struggle. The LSI is also responsible for the expanded buffer depth for continuous shooting. The new α6500 becomes the latest Sony interchangeable lens camera to offer internal 4K movie recording, as it can shoot 4K (3840x2160p) video in the popular Super 35mm format on the full width of the image sensor. When shooting in this format, the camera uses full pixel readout without pixel binning to collect 6K of information – approximately 2.4x10 (20 MP equivalent) as many pixels as 4K UHD and then oversamples the information to produce high quality 4K footage with exceptional detail and depth. Additionally, the α6500 will focus exceptionally fast during movie shooting thanks to its Fast Hybrid AF system, offers touch focusing for professionally smooth focus shifts, while also offering adjustable AF transition speed and AF tracking sensitivity. The camera supports the XAVC S codec11 during video shooting, which records at a high bit rate of up to 100 Mbps during 4K recording and 50 Mbps during Full HD shooting, ensuring maximum detail and clarity in both video formats. Other professional caliber video features include the ability to record Full HD at 120 fps at up to 100 Mbps, which allows footage to be reviewed and eventually edited into 4x or 5x slow motion video files in Full HD (24p) resolution with AF tracking. New on the α6500 is the incorporation of a ‘Slow and Quick’ (S&Q) mode that supports both slow motion and quick motion. In this mode, frame rates from 1 fps to 120 fps can be selected in 8 steps for up to 60x quick motion and 5x slow motion recording12. Footage shot in this mode can be previewed after shooting without the need for PC-based post processing. The camera also offers S-Log gamma recording13 for wide dynamic range shooting – approximately 14-stop latitude in S-Log3 gamma setting – and supports S-Gamut for a wider color space. 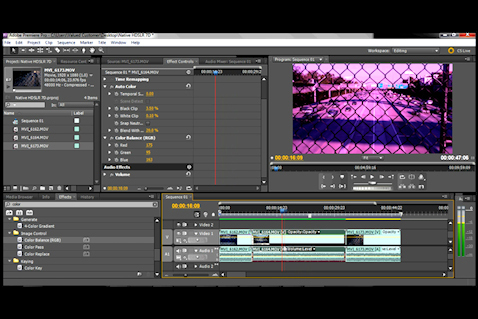 Both options allow for greater creativity for processing video post-production. Shooters also now have the ability to select, extract and save still images from movie footage directly on the camera. Approximately 8 MP images and 2 MP images can be pulled from 4K modes and Full HD modes, respectively. The new α6500 has a refined design, maintaining the mobility of the α6000 series while adapting much of the usability of Sony’s acclaimed α7 II series. The new model features the same high contrast, high-resolution 2.4 million dot XGA OLED Tru-Finder as the α6300 that offers exceptional corner-to-corner visibility. New hardware features on the α6500 include a magnesium alloy body and a high-durability shutter with a tested life span of approximately 200,000 release cycles14. It also has several design features that are borrowed from the α7 II series of full-frame cameras, which include a robust lens mount, a recessed grip to improve handling, a larger release button and ten total custom buttons including ‘C1’, ‘C2’ and ‘C3’. It also has an improved operation feel for its mode and control dials and rear face buttons, as well as a softer eyepiece cup for more comfortable usage. On the software front, there is a new overall user interface, which allows for a much smoother process for searching and adjusting menu settings, as well two new metering modes – Highlight, where exposure metering is focused on the brightest area of the frame, and Entire Screen Avg, which maintains an average metering for the entire image. The camera is Wi-Fi®, QR and NFC compatible and fully compatible with Sony’s PlayMemories Mobile™ applications15available for Android™ and iOS platforms, as well as Sony’s growing range of PlayMemories Camera Apps™. The α6500 also offers location data acquisition via a Bluetooth16 connection to a compatible mobile device and an updated menu structure to deliver a smoother navigational experience. The Sony α6500 interchangeable lens camera will ship this November for about $1,400 US and $1,750 CA. It will be sold at a variety of Sony authorized dealers throughout North America. There is also a new genuine leather body case (model LCS-EBG) that will ship in November and a new eyepiece cup (model FDA-EP17) that will be launched at a later date. A variety of exclusive stories and exciting new content shot with the new α6500 camera and other Sony α products can be found at www.alphauniverse.com , built to educate, inspire and showcase all fans and customers of the Sony α brand. Please follow #SonyAlpha on twitter and visit @SonyAlpha on Instagram for all of the latest α camera news and content direct from Sony.